Justin, Justin, Justin, when will you learn. His ego seemingly knew no bounds when he was accused of disrespecting the memory of Prince last week, but he has actually managed to project an even greater sense of self worth. 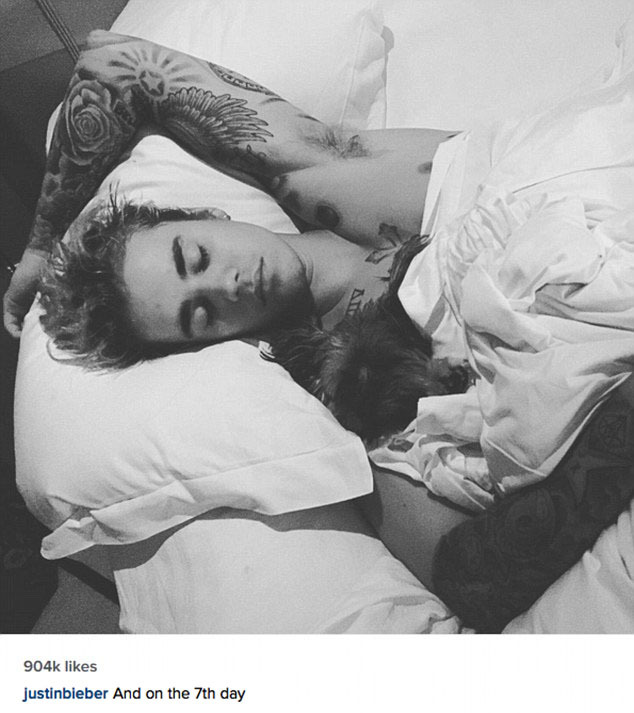 As reported by the Daily Mail, Bieber captioned a snap of himself cuddled up to what looks like a puppy with the message ‘And on the 7th day’. Now you only have to have visited Sunday school once to know that is a pretty famous line from the story of creation when, having created the entire Universe out of nothing in just a week, God took the seventh day to rest. 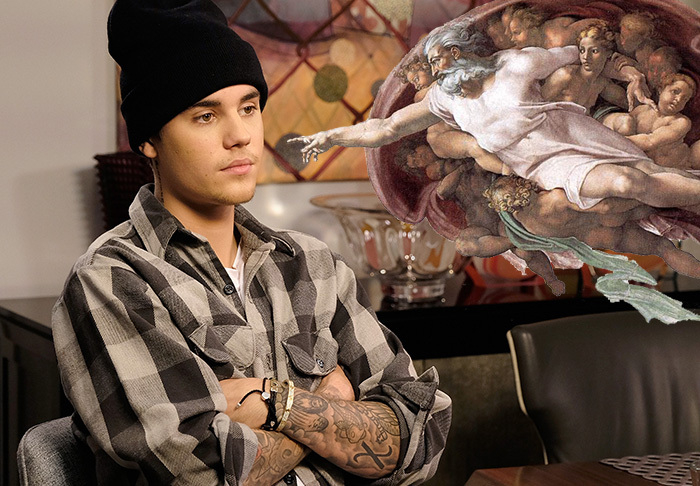 Justin proved his lack of omniscience by having to backtrack following some online heat, explaining that he was only ‘referencing’ God. And on the 7th day….. AND MY GOODNESS I WAS MAKING A REFERENCE, I AM NOT COMPARING MYSELF TO GOD IM THE FARTHEST THING FROM!!!! IT WAS MY WAY OF SAYING HOW IMPORTANT REST IS.. WHEN THERE IS NOTHING TO PICK AT ME FOR YOU MAKE SOMETHING OUT OF NOTHING BUT I GET IT YOU NEED RATINGS AND TRACTION YOUR BLOGS. But if truthfully if you were offended it was in no way shape or form me comparing myself to the most high. MY GOODNESS I WAS MAKING A REFERENCE, I AM NOT COMPARING MYSELF TO GOD IM THE FARTHEST THING FROM!!!! IT WAS MY WAY OF SAYING HOW IMPORTANT REST IS.. WHEN THERE IS NOTHING TO PICK AT ME FOR YOU MAKE SOMETHING OUT OF NOTHING BUT I GET IT YOU NEED RATINGS AND TRACTION YOUR BLOGS. But if truthfully if you were offended it was in no way shape or form me comparing myself to the most high. Purpose did feature a few bangers that must annoyingly, and reluctantly be recognised, but lets stop getting carried away shall we Justin.